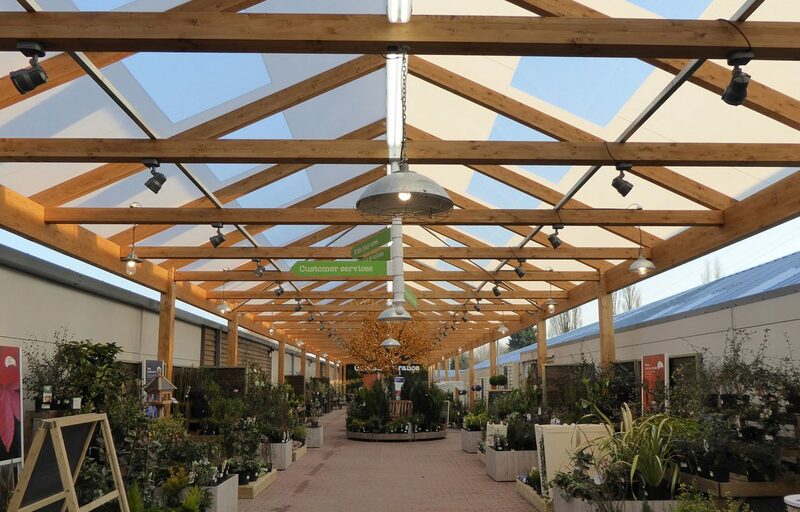 63.5m long pitched roof timber canopy for Wyevale Garden Centres. 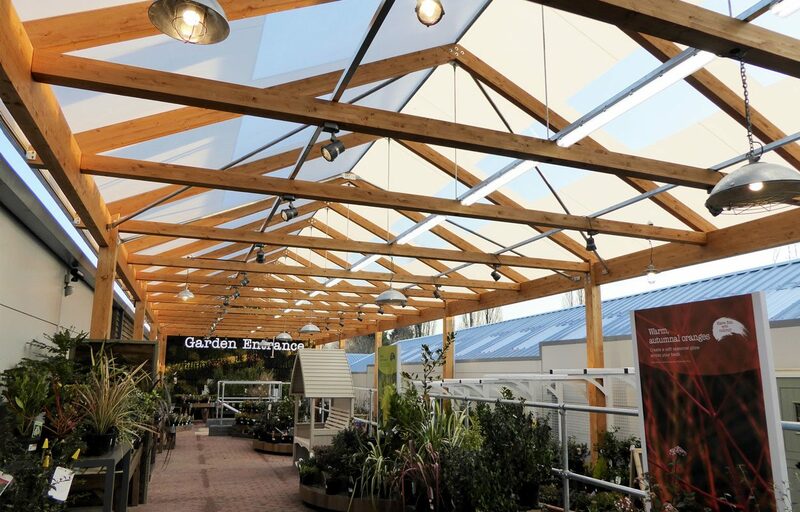 Almost two years since Blooms Garden Centre in Cardiff closed due to fire damage, it has opened once more – with a completely new and contemporary look that resembles a modern department store rather than a traditional garden centre. 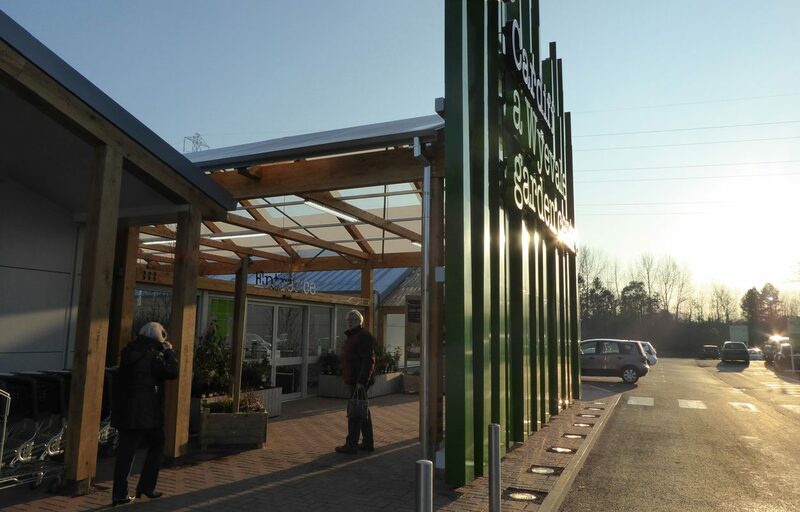 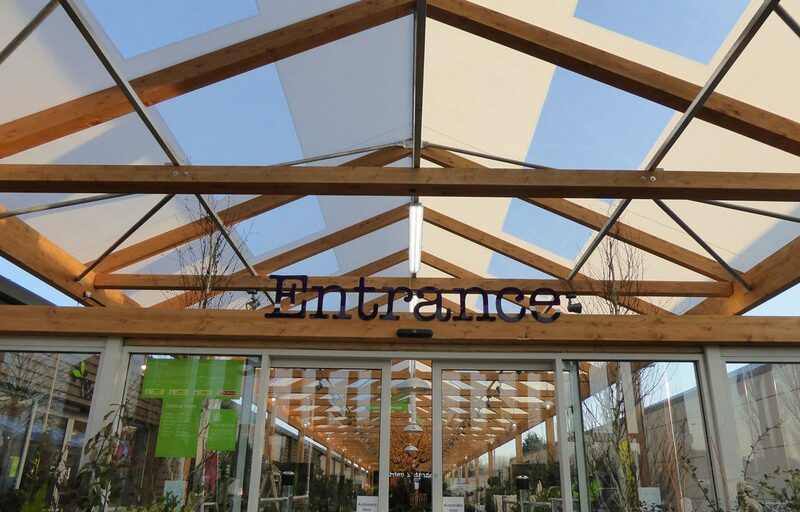 The stylish garden centre site is complemented by one of our popular glulaminated timber canopies, stretching 63.5m long and 8.5m wide. 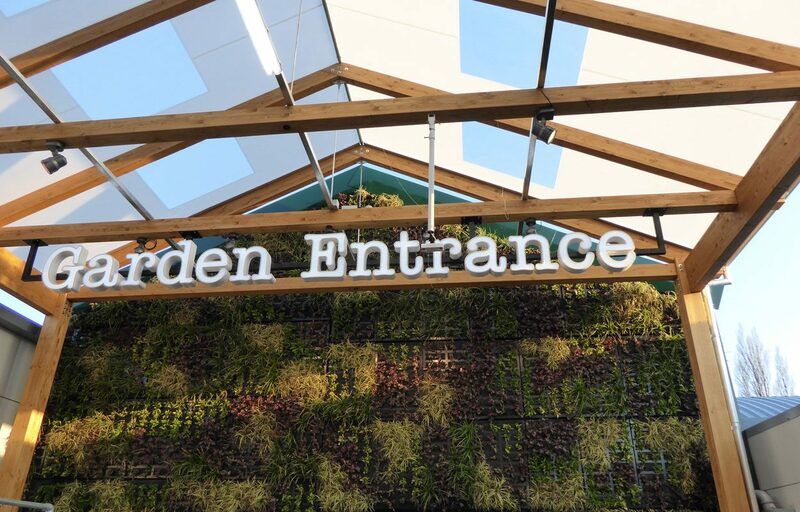 The pitched roof design nestles into the surrounding context and leads visitors through a wide array of plants and flowers before reaching the garden entrance.